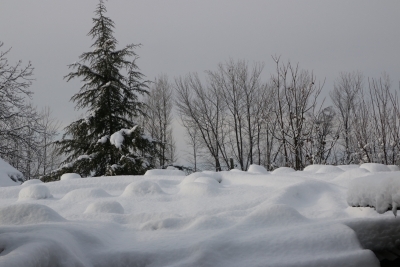 Srinagar, Feb 9 (IANS) An intense cold wave gripped the Kashmir Valley on Saturday bringing the minimum temperatures several notches below the freezing point, the weather office said. "Due to a clear night sky, the minimum temperatures have dropped across Jammu and Kashmir. The weather is expected to remain cold and dry during the next three days, but maximum temperatures will improve during this period," a MET Department official said. Jammu city had 4.0 degrees Celsius, Katra town 4.8, Batote minus 1.6, Bannihal 1.4 and Bhaderwah minus 4.4 as the night's lowest temperatures.